Work Instruction is a document that describes in detail the steps that need to be taken in order to complete a specific task. They can be made available as printed or electronic documents. Nowadays, more and more manufacturers want to simplify and improve the process of managing and sharing work instructions. These companies also want to increase the usability of their work instructions. This approach is especially important for companies with a large number of varying tasks and frequently changing processes. How can this be done? Most often a decision is made to replace paper based work instructions with an electronic version. This, in turn, entails the need for a computer system to manage the electronic version of the documents. Implementing or extending MES solution to manage WI’s is not an easy and cheap process. There must be a real value pushing companies to do so. This article highlights the most commonly seen advantages of having electronic Work Instructions (eWI) implemented within an MES system. 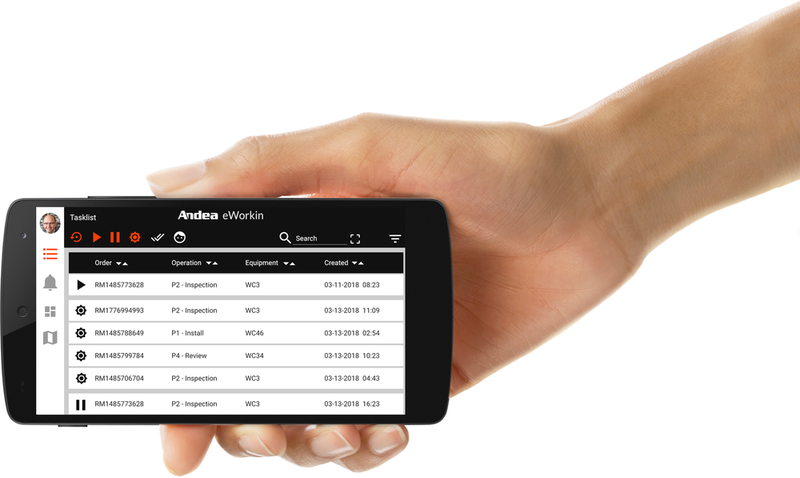 Increased Efficiency – operator does not waste time on finding proper and most recent version of the work instructions. Embedded multimedia or 3D models allow the user to understand and follow instructions in a fast and efficient way. Improved Quality – context based eWI eliminates the possibility of human error related to the use of incorrect work instructions. 2) Compliance – Having instructions in MES provides the possibility to capture the fact that an operator used a given set of work instructions. This kind of record can be kept for traceability purposes. Release of a new version might force the operator to review the most recent work instructions document. Quite interesting extension of this approach is to force an operator to review the instructions, even though they did not necessarily change, on a weekly or monthly basis to ensure that operator’s knowledge is up to date. This can also be used to build a skills matrix showing the competences of the employees that can be later used when planning training. 3) Easier Change Management and New Product Introduction – It is easier to release a new version of work instructions electronically vs. running around the factory and replacing obsolete versions of paper based instructions and notifying operators about it. This is really important as work instructions are one of the most frequently changing documents in the factory. 4) Enabling mobile workforce – the use of mobile technology in manufacturing is and will be on the rise. In the future, tablets on the shopfloor will be as common as client PC’s are today. Tablets are cheap, easy to use and can go where the worker goes. This makes them a perfect tool for delivering work instructions. MES can play the role of a backend tool that would be used to manage and propagate work instructions, including various types of embedded media. This combination simplifies the process of managing and accessing work instructions. Requirements for work instructions are becoming more and more sophisticated. Electronic Work Instructions open several new opportunities that are not possible with paper based solution. Embedding EWIs in MES creates an additional synergy that amplifies these benefits, but only if MES solution is based on an adaptive platform. This might mean that the initial investment to implement work instructions might be higher, but the long term payback is significant enough to justify spending. Companies with frequent NPIs, complex and labor intensive make-to-order processes, should closely consider this approach. Tomasz Gesiarz is responsible for solution design at Andea. His responsibilities include creating both functional and technical designs based on identified requirements and customer needs. Tomasz started his journey with MES over ten years ago at PolSource where he was a Apriso consultant. He has participated in several complex MES implementations, which provided him with an opportunity to acquire unique manufacturing solutions knowledge. Customers often praise Tomasz for being approachable, straightforward, organized, reliable and knowledgeable. Tomasz has graduated from Czestochowa University of Technology where he received his MSc in Software Engineering and Computer Systems. Is this the time to replace a custom MES with a commercial package?